On the 12th of May 2018 our biennial Ball was held at the Holiday Inn in Tongwynlais. What a successful and rewarding night it was, with just over 150 guests, 26 of whom were our very special members dressed in their finest dinner suits and posh frocks. 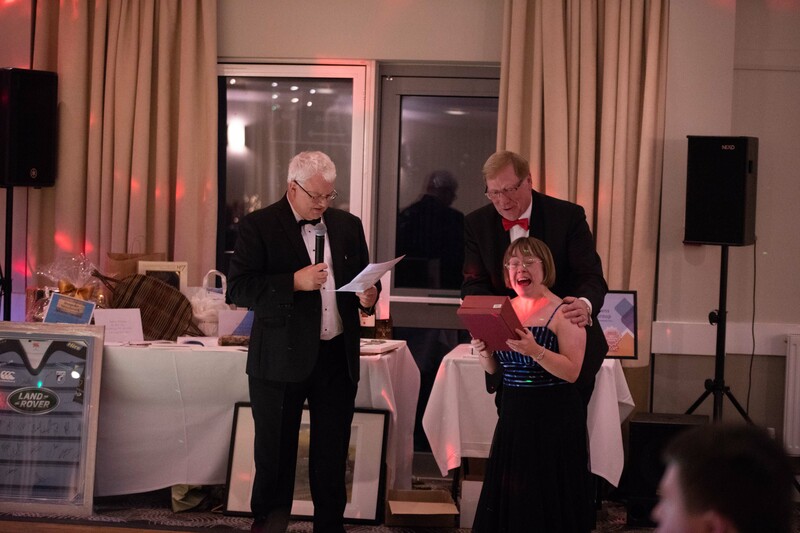 We held our usual Auction and Five-Pound Raffle, raising our group’s funds and allowing us to help those with Down’s Syndrome. Our auctioneers for the night were, the one and only Mike Pickard and our trainee BBQ Chef Jeff Thomas. Thank you guys, you did a great job, I could not have done it without you and I look forward to the next time. Thank you to all those who supplied the exceptional auction and raffle prizes, we are extremely grateful. Advantage was taken on the night to make a presentation to one of our very inspirational young members, Sara Pickard. The 8th of March 2018 was Welsh women’s International day and Sara was voted No 44 of 100. Well done Sara, an inspiration to us all. Other members congratulated and recognised for their achievements were Gareth John, Laura Tilley and members who are part of the Hi Jinks Theatre Group. We were entertained by John Prescott Vocalist who sang many “swing” numbers but also changed direction slightly to satisfy all ages. The proof of his success was the full dancefloor all night. We look forward to using him again in the future. To finish the night off the DJ supplied by the Holiday Inn entertained us with popular dance music. We thank John and the Holiday Inn for helping us enjoy a fabulous night. Many thanks to everyone who supported the event and helped in any way to make the event such a success. We hope to hold our next Ball in 2020! But are in the process of arranging other events in 2018/2019. Watch our new site for details. 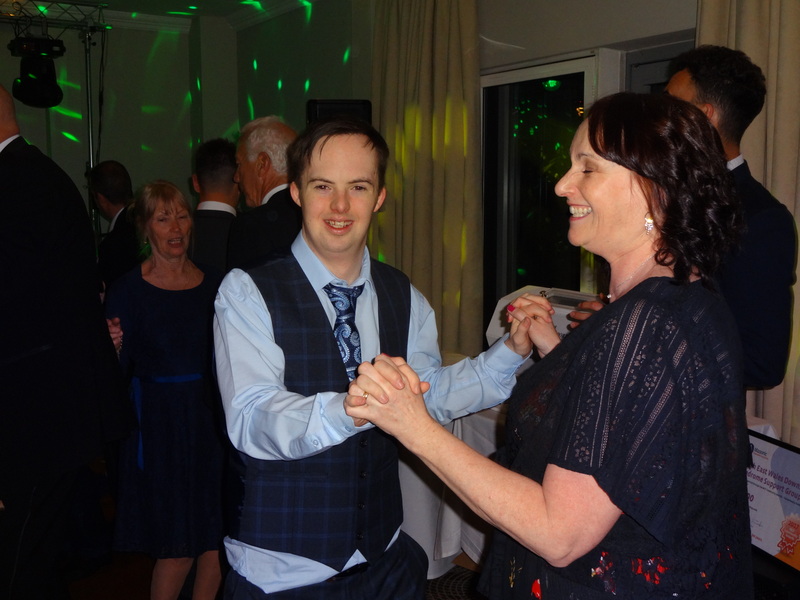 WorkFit are pleased to announce that we been awarded funding from the Active Inclusion Fund to provide support to people with Down's syndrome aged 25+ and their families and their carers across Wales. We're proud to announce the launch of our brand new website. the great work we enoy.